[Intro] You say I be your tomato Wanna see me tomorrow Give me one more night It’s Daihardbeat Give me one more night Give me one more night With you Yo P Sing [Verse 1 – Mr P] I know you’re high and wanna get down tonight You sipping Henne in the club and it feels so right So we can get down at the back of the club tonight Cause I just want to handle you Girl I dey see am for your body say you wanna get down (Get down on it) No dey form for me I get money (Chop my money) As you dey see me so I’m ready baby Girl I go chop you like banku Cause I dey find your body go Gwagwalada I go give you all my love kpatakpata Get up get up get up get up Let’s make love tonight Wake up wake up wake up wake up Gats to do it right [Pre-Chorus – Mr P] I dey feel you Girl tonight Me and you We can turn off the light Your body dey my mind Many things we can do Girl tonight [Chorus – Mr P] Give me one more night Give me one more night Give me one more night Give me one more night With you Nini dey [Verse 2 – Niniola] (?) toti mo ma gbon Helicopter ti mo ma gbon La no ti morun to dun Ikanla le sho toju He said baby you’re too contagious I take you to Lagos You want balanced diet You want balanced diet Yea eh Ori ori no do body be like tomato Ori ori no do He wanna see me tomorrow I don’t need you to (?) 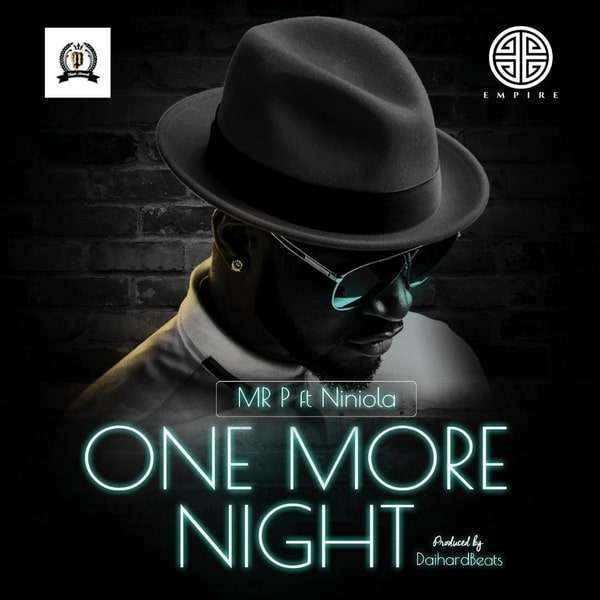 Sweet like ajinomoto Wowo Jade ko jide ko de ma jo [Pre-Chorus – Mr P] I dey feel you Girl tonight Me and you We can turn off the light Your body dey my mind Many things we can do Girl tonight [Chorus – Mr P] Give me one more night Give me One more night Give me one more night Give me one more night With you Cause I dey find your body go Gwagwalada I go give you all my love kpatakpata Cause I dey find your body go Gwagwalada I go give you all my love kpatakpata Give me one more night Give me one more night Give me one more night Give me one more night With you.